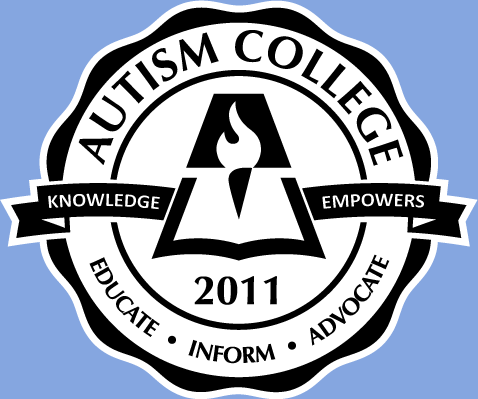 Autism College will present a free live Q & A on Monday, May 2, 2011 from 6:00 to 8:00pm PST. Sign Up for this webinar here. Have you ever wished you had access to a pediatrician who knows a lot about autism – including biomedical therapies and treatments ? Have you ever wondered what a medical professional has to say about the importance of vision processing and why assisted typing works as a communication tool for some children with autism? Sign up for this free Q & A and you’ll be able to ask questions from an experienced pediatrician who is an expert in the field of autism. Autism College is pleased to announce that our first visiting professor Q & A will be with Ricki G. Robinson, M.D., M.P.H, author of the recently published Autism Solutions: How To Create a Healthy and Meaningful Life for Your Child. Dr. Robinson,a pediatrician, has been providing hope and help for children with Autism Spectrum Disorders for more than 20 years. Her integrative, strengths-based approach to treatment includes a thorough evaluation of a child’s medical, developmental, social, emotional, behavioral and educational issues to find the solutions that maximize his health and well-being. In Autism Solutions, Dr. Ricki, as she is known to her patients, explains how to establish a team of professionals who can work with the child to give him or her the opportunity to live well, learn, interact and thrive. Dr. Ricki Robinson is co-director of Descanso Medical Center for Development and Learning in La Canada, California. She is a Clinical Professor of Pediatrics at the Keck School Medicine of USC and Senior Attending Physician at Childrens Hospital Los Angeles. She has been in private pediatric practice for over 30 years, specializing in children with developmental delays for over twenty years. Dr. Robinson received her M.D. degree in 1973 from the University of Southern California. She trained in pediatrics at Childrens Hospital Los Angeles, having served as Chief Pediatric Resident for CHLA in 1976. She is Board Certified in Pediatrics. In 1988 she received her MPH from the University of California at Berkeley School of Public Health. She has been actively involved in the field of autism since 1990, developing multidisciplinary educational and medical programs for children with Autism Spectrum Disorders and devoting endless hours in education, legislation and research efforts on a national level. 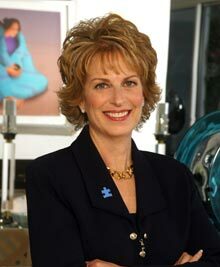 She is a founding board member of Cure Autism Now (now Autism Speaks) and the Interdisciplinary Council on Developmental and Learning Disorders (ICDL), and currently serves on the Scientific Review Panel of Autism Speaks, the world’s largest autism advocacy organization. Dr. Robinson organized and chaired the first nationally recognized task force to define the standard of care for clinical trials in autism. The results of this outstanding effort were published in CNS Spectrums (January 2004, Vol. 9, #1). Connect with the child by playing with what he wants to play with, and in the way he is playing with it. Teach him turn taking skills using the toys or objects he is interested in, and then try some simple games. If the lack of eye contact is getting in the way, suggest that the person on the spectrum focus on the ear of the person they are conversing with. To the conversation partner, it will look like they are making eye contact. Teach social skills to the level possible. Teach about body language and social cues. Think of how foreigners in a strange land don’t understand the local customs and have to learn them: it is the same for a person with Asperger’s and neurotypical body language and social cues. Teach wherever possible beginning and ending conversations and what kind of topics to bring up. Practicing them in a small group with peer tutors or buddies is a great way to get used to using them. Find special interest groups where they can discuss the topic they are passionate about at length. For example, if they are into Legos, trains, or Star Trek, find a local club that is based on that interest. Then limit the conversation on that topic to specifically scheduled times and to the club, by reminding them they can talk about it then.